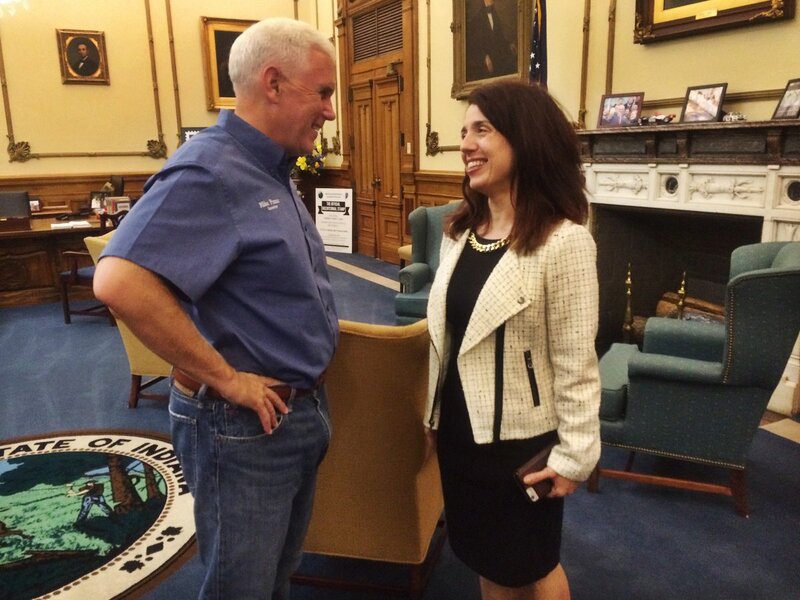 Indiana Governor Mike Pence (left) named Sarah Freeman to the Indiana Utility Regulatory Commission (IURC). IndianaDG would like to extend a heartfelt "Congratulations" to Sarah! Indianapolis – Governor Mike Pence today (9/2/16) named Sarah Freeman as a Commissioner of the Indiana Utility Regulatory Commission (IURC). Freeman will fill the vacancy created by the departure of Commissioner Carolene Mays-Medley, who was recently appointed Executive Director of the White River State Park Development Commission. Freeman will serve the remainder of Mays-Medley’s term, which expires December 31, 2017. For more than 15 years, Freeman has worked as a senior staff attorney in the Legislative Services Agency, where she serves as counsel for the House Utilities, Energy, and Telecommunications Committee and the Senate Utilities Committee. In this role, she has drafted or participated in drafting significant utility legislation in recent years. Previously, she has worked as Deputy Attorney General in the Office of the Attorney General, and as a judicial clerk in the Indiana Supreme Court. Freeman was also recently appointed to the National Conference of State Legislatures Task Force on Cybersecurity. Freeman earned her undergraduate degrees at Indiana University in Bloomington and her law degree at Indiana University’s Maurer School of Law.